According to new data from the U.S. Department of Transportation’s Federal Highway Administration, U.S. drivers covered approximately 3 trillion miles in 2013, the most since 2007. This is the fourth-highest number of miles traveled since 1936, when the U.S. began recording drivers’ miles. 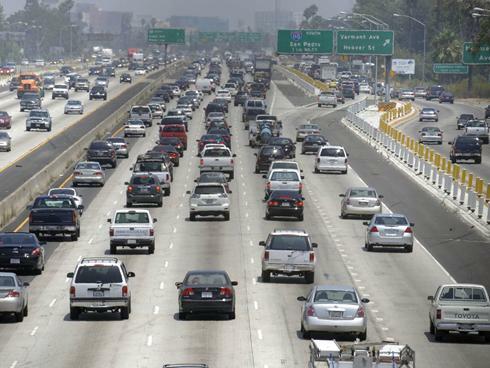 U.S. roads also saw an increase of vehicles, rising from 253.6 million to 255.9 million in one year. This is the largest single-year increase since 2011. Transportation Secretary Anthony Foxx said the data shows the U.S. needs to invest more in its bridges, roads, bicycle and pedestrian infrastructure in order to adequately serve the growing volumes of traffic in the U.S.
"Transportation is a critical engine of the nation's economy," Foxx said. "To prepare for the needs of the 21st century, Congress needs to pass the President's GROW AMERICA Act. It would provide innovative financial assistance for infrastructure projects and increase investments to meet the growing transit needs of communities, whether urban, suburban or rural." Acting Federal Highway Administrator Gregory Nadeau said the data will help Congress make informed decisions about critical infrastructure investments. "To ensure our roads, bridges and tunnels can keep pace with the demands of the American public, greater investment is needed – and the six-year, $478 billion 'GROW AMERICA' Act is a step in the right direction," Nadeau said.